Directed by Jon Favreau. With Daniel Craig, Harrison Ford, Olivia Wilde, Abigail Spencer. 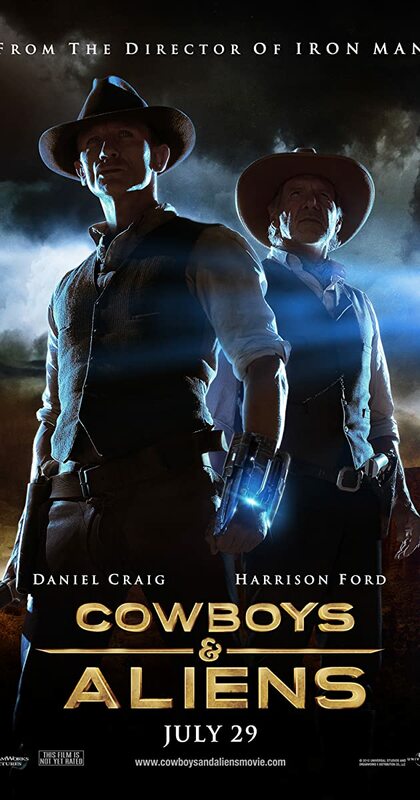 A spaceship arrives in Arizona, 1873, to take over the Earth, starting with the Wild West region. A posse of cowboys and natives are all that stand in their way.